The chapter notes are given at the end of the text, together with a glossary from the book for terms relevant to this chapter. For the reader’s convenience, the more obscure terms are given as links to the glossary on this page, and you can return to the text by clicking on the [Back] link after each glossary term. This excerpt is posted here with the kind permission of the author. The perfunctory trials that followed the Peers inquiry amounted to slaps on the wrist for the defendants and fueled rumors of a cover-up. Of the thirty people named in the report, charges were brought against sixteen, four were tried, and one was convicted. William Calley’s sentence was quickly reduced, and in conservative quarters he was venerated as a hero and scapegoat. Likewise, the men in Calley’s platoon were excused as victims of VC terror and good soldiers acting under orders. Of nearly two thousand Americans surveyed by Time magazine, 65 percent denied being upset. As Ed Murphy said, “Phoenix was far worse than the things attributed to it.” Indeed, the range of transgressions generated by Phoenix was all-encompassing but was most evident in its post-apprehension aspect. According to Jeff Stein, the CIA “would direct the PRU teams to go out and take care of a particular target…either capture or assassination, or kidnapping. Kidnapping was a common thing that they liked to do. They really liked the whole John Wayne bit — to go in and capture someone at night. … They’d put him in one of these garbage collection type bins — and the helicopter would pick up the bin and fly him off to a regional interrogation center. “By now everybody knows that former Senator Bob Kerrey led a seven-member team of Navy SEALS into Thanh Phong village in February 1969, and murdered in cold blood more than a dozen women and children. “What hardly anyone knows, and what no one in the press is talking about (although many of them know), is that Kerrey was on a CIA mission, and its specific purpose was to kill those women and children. It was illegal, premeditated mass murder and it was a war crime. “As a CIA officer, Rob Simmons traveled 12,000 miles to terrorize Vietnamese men and women in their own backyards. He did so unflinchingly, without the remorse one might expect from a self-professed devout Episcopalian. “Behind the pious façade, however, lurks a cold-blooded political warrior who was sworn in last month to represent eastern Connecticut in Congress. 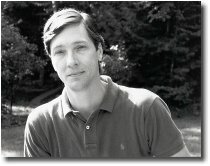 Douglas Valentine is an author, researcher, investigator, consultant, critic, and poet. He was born in Pleasantville, New York in 1949, and currently lives with his wife, Alice, in Longmeadow, Massachusetts. He is a graduate of Notre Dame College in Manchester, New Hampshire, and began his career as a professional writer in 1981. His philosophy of life is derived from extensive study in classical myth and nature, and is applied through his writing to contemporary political, social, and national security issues. Mr. Valentine’s published works to date include The Hotel Tacloban, a highly praised account of life and death in a Japanese prisoner of war camp, and The Phoenix Program, which Professor Alfred J. McCoy describes as “the definitive account” of the CIA’s most secret and deadly covert operation of the Vietnam War. Both The Hotel Tacloban and The Phoenix Program are available through iUniverse.com, the on-demand Internet book publisher, as Authors Guild imprint backinprint books. Mr. Valentine is currently completing work on his fourth book, The Strength of the Wolf: The Federal Bureau of Narcotics 1930-1968. Apart from his writing career, Mr. Valentine has lectured and appeared on radio talk shows. He has testified as an expert witness, including at a national security-related libel trial in Geneva, Switzerland in 1992. He has served as a documentary film consultant, and in that capacity was hired by the British Broadcasting Corporation and traveled to Vietnam in 1991. Mr. Valentine also has worked extensively as a private investigator. In 1994 he uncovered the material evidence that gave actor Woody Harrelson’s father, Charles Harrelson, the opportunity to receive a new trial in 1998. Since 1999 Mr. Valentine has worked for the family of Dr. Martin Luther King, and in November 1999 he testified at the King versus Jowers trial in Memphis, Tennessee. An article he wrote about the national security aspects of the King case is accessible through his Articles page. Examines the consequences of the U.S. Army’s conditioning of American soldiers to overcome the instinctive loathing of murdering fellow human beings. Shows how it has increased post-combat stress disorder and how contemporary society — especially the American media — replicates the U.S. Army’s conditioning techniques, resulting in increased violence in American society. Unique compilation of photographs taken by the Viet Cong themselves. Details Viet Cong guerrillas, main force Viet Cong, political gatherings, weapons, awards, artistic troupes, and jungle life. Fully illustrated, some in color. Takes full advantage of recently declassified archives to create a riveting portrait of the immensely important and elusive figure. Impeccable research chronicles Ho’s life from his childhood as the son of a poor yet brilliant scholar, through his career as the first president of his country, during which he demonstrated phenomenal political abilities. Uses classified documents as well as extensive interviews to examine the bitter animosity that developed between the U.S. government and the news media during the genocidal Vietnam war. Tells how they first shared a common vision, but as the war dragged on, the truth fell victim to the U.S. government’s “management” of the press. Nowadays, of course, the mainstream press wouldn’t dream of reporting the latest American military atrocities. The U.S. Corporate Mafia Government has gotten much better over the years at “managing” the press and all the mass-media. This is Chapter 23 of the online book The Vatican’s Holocaust by Avro Manhattan. Details the little-known relationship between the Vatican, the U.S. and the fanatic Catholic regime of President Ngo Dinh Diem of South Vietnam. The events surrounding this relationship led directly to America’s escalation of its war against the Vietnamese people. Diem was another puppet-dictator installed by the U.S. government. But this particular puppet was also backed by the Vatican. Serious problems began when his, and his wife’s, religious fanaticism got out of control. In the name of “God” he murdered and terrorized his own people — with the blessings of the Vatican and the U.S. government, of course. He was finally assassinated in 1963, but it was too late, the damage had been done. Diem’s bloody tyranny over his own, mostly Buddhist, country helped to radicalize large numbers of Vietnamese people. It opened the eyes of those with eyes to see, to the truly demonic nature of the United States Corporate Mafia Government and military. This site has a wealth of valuable, truthful information about the Vietnam Genocide and its devastating effect on the people and land of Vietnam. An example: in the “Vietnam War” section there are excerpts from Then the Americans Came, by Martha Hess, which contains personal testimonies from surviving Vietnamese victims of massive bombing and torture at the hands of Americans. Brian Willson is a courageous Vietnam vet who was wounded in combat — but not during the Vietnam Genocide. He was fighting a war of conscience. In 1987 a military train at a U.S. Navy munitions base intentionally ran over him and severed his legs as he and two other veterans sat on the tracks to block it. The train was carrying weapons to be used in America’s ongoing holocaust of innocent civilian people in Nicaragua, Guatemala and El Salvador. His autobiography is heartfelt, utterly unself-pitying and very instructive, particularly his experiences from Vietnam onward. Brian Willson’s writing is extremely valuable, being from a deeply intelligent and genuinely moral man who has witnessed firsthand the horrors of American state terrorism around the world. VVAW was founded in 1967 by vets who realized that what we were doing in Vietnam was a monstrous evil. Through courageous political activism and grassroots organizing the VVAW helped to awaken the heavily brainwashed American people to the horrible reality of America’s greatest campaign of racist genocide in the 20th century. “We, having dutifully served our nation, do hereby affirm our greater responsibility to serve the cause of world peace. To abolish war as an instrument of international policy. Next Next post: Today’s sermon – hope for America.